We also assist the clients in marketing and other related procedures. 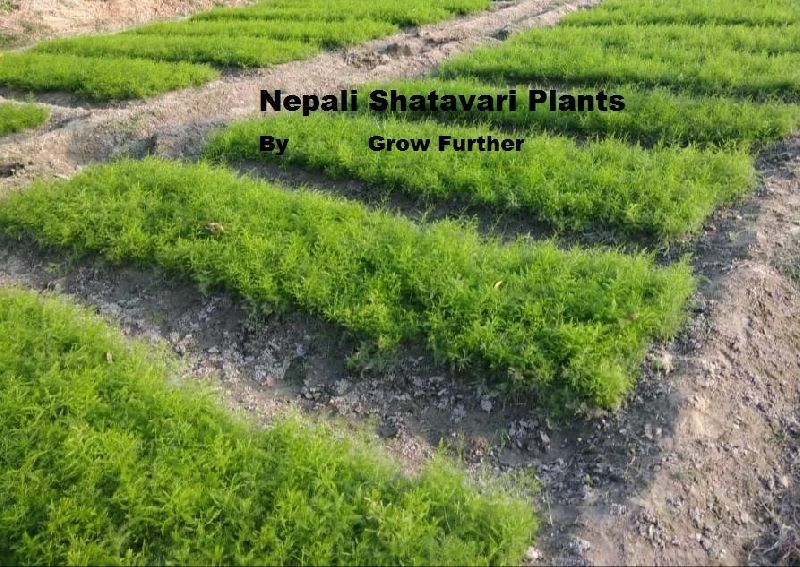 We are one of the leading Nepali Shatavari Plant Suppliers & Nepali Shatavari Seeds suppliers all over India. Price - Rs.3,80,000 lac/crop (Rupees Three Lac Eighty Thousand per crop - As per current market). Harvested in 18 months from the date of planting or as per the maturity. Proper irrigation without excess water. It requires moderate amount of water & the thumb rule is to maintain normal moisture in the soil. Starts from monsoon & continues till temperature falls in single digits & must plant it when the temperature is below 38 degree. On an average,it can be planted in almost whole year leaving around 100-120 days. You can also call us to know the better time of plantation. We provide the marketing support & assistance also for the Nepali Golden Shatavari. Marketing is also done only when the material is of authentic variety because some fraudsters supply adulterated variety planting material to the farmers at less costing & that becomes problem at the time of marketing.